…and it’s looking more spectacular than ever! Edge into autumn in style with Monsoon’s exciting new season collection, inspired by fall’s rich, earthy aesthetic. We love their latest wardrobe wonders; contemporary figure-flattering day dresses, finely crafted trousers and luxe separates to guide you effortlessly from work to weekend. You’ll be the epitome of new season chic with their stylish collection of accessories too. Choose from an array of catwalk-inspired footwear, luxurious leather bags and dazzling statement jewellery all with Monsoon’s signature Heritage-inspired touch. These are the pieces to buy now, and treasure forever. Be the first to browse autumn’s latest arrivals: a coveted collection of unique prints, exquisite designs and beautiful embellishments to enhance every aspect of your outfit. Monsoon have just launched their very first edition of their exciting new e-zine, ‘Swoon’, a captivating interactive shopping experience which brings the textures and movement of the collection alive like never before. Prepare to be inspired! We love Monsoon Children’s range of durable and delightful designs for autumn’s mini fashionistas, all developed by their team of in-house designers. Little ones will be perfectly prepped for cooler weather and snippets of September sunshine with layers of fashionable and functional pieces in soft textures and cute details. We can’t get enough of their Squirrel Sweatshirt! An adorable array of novelty prints, embellished skirts, easy-to-outfit trousers and tops, and sweet accessories are perfect for fun-packed family outings and endless autumnal adventures. 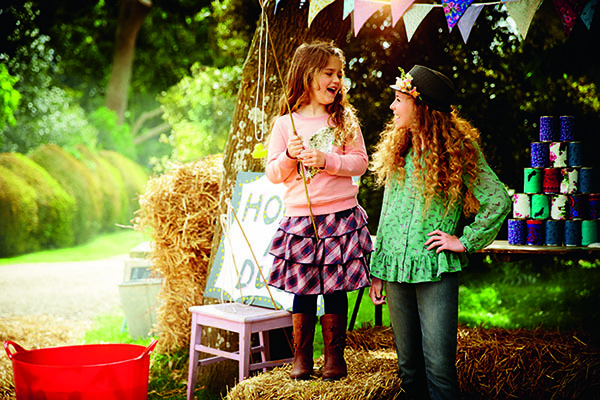 It’s an irresistible mix of beautiful, playful clothes for little girls and boys, and their older siblings too. They’ll love this collection as much as you do! Little ones heading back to school, or about to begin term time for the first time? New term excitement starts here. 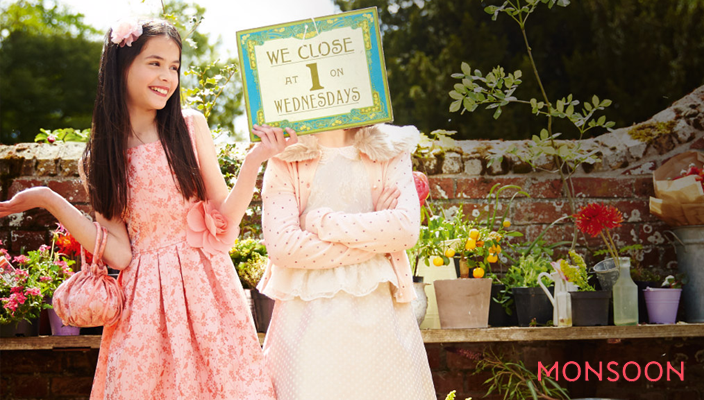 Get school days off to a great start with Monsoon’s collection of Back to School essentials – bold and bright coats, smart shoes, toasty knits and small but stylish backpacks will add a cheery autumnal look to their day – the school run has never been so fun!